I run a single bedroom cabin under the canopy of Airbnb, which I love! Recently I updated the bed base and then the mattress. 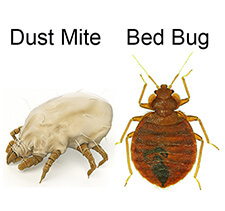 I had a scare at the same time with me and my husband coming out in itchy bites and became concerned that we might have had bed bugs due to our one night guests from around the world. However, it became apparent that my problem was bird mites from my chickens that I had been treating!! This was a wake-up call to me as my investment could have become threatened by bed bugs so I immediately invested more into protecting my income by buying the bed bug barrier system. I am delighted that the zippered covers do not detract from the comfort of my fabulous mattress or my pillows and it is income insurance for me.